These pumps are easy to use in one-handed operation. The thumbwheel is simply rotated for precise filling or dispensing. 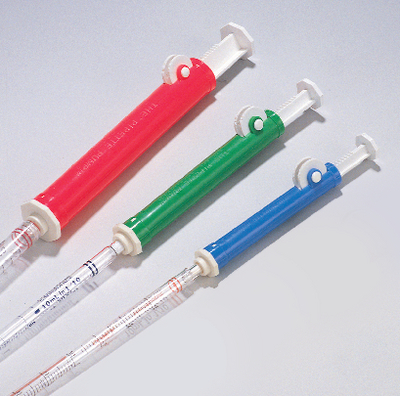 Measuring pipets fit smoothly into tapered chuck and a plunger may be used for quick dispensation.